Le Fashion Truck: Weekly Fashion Review: Keep Your Shades On! Weekly Fashion Review: Keep Your Shades On! 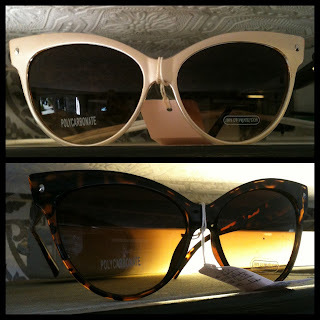 If you've been keeping up with our Weekly Fashion Reviews then you know how hot cat eye sunglasses are this this spring! If you're loving the look then you'll LOVE the newest arrivals! These vintage inspired beauties are classic and always stylish! Pick yours up in our retail truck for only $12!